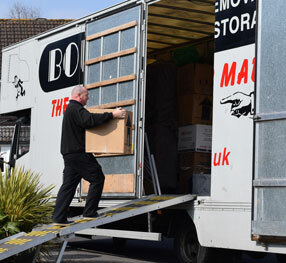 Bourkes Removals are a reliable and friendly removals company which have been moving thousands of customers for over 50 years. We deliver a personal service which is tailor-made to suit your requirements. Based in Hampshire and armed with extensive knowledge of the surrounding area, we also deliver a professional removals service nationwide, and beyond to northern Europe including France, Belgium and Holland. 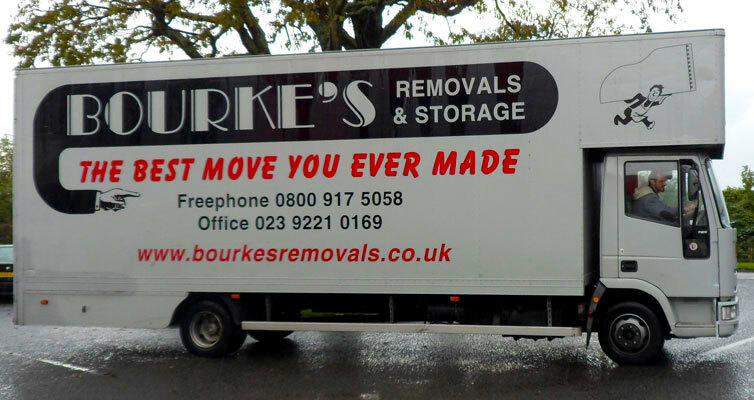 Bourkes Removals specialise in stress-free house and office moves and come with an extensive fleet of top class vehicles and a team of skilled and trained experts including technicians, drivers, art handlers and removals executives who ensure a seamless service throughout your move. Flexibility is a top priority as we know moves don’t always stick to the timetable. If your move is delayed until later in the day, or for a longer period then rest assured there will be no late charges or hidden extras with Bourkes Removals. At Bourkes Removals we are cost-effective with competitively priced packages to suit different budgets. No matter how little or how much you have to move, we can offer a package to match your needs, so contact us today and let us do the rest. Bourkes Removals are the ultimate choice for any house or office move, and will protect your most prestigious and valuable possessions and transport them with care from A to B with ease. No matter what size of business you have, from a small store to a large warehouse, we can arrange a removals package to fit your requirements. We can also provide storage facilities in our range of secure units which vary in size according to your wishes. We can also organise your packaging for you whether you just need us to provide mattress protectors, tapes and boxes, or need us to do the packing for you while you concentrate on future plans. Bourkes Removals come complete with a “can do” attitude. We take pride in our moves and ensure the utmost care is taken in all areas and in particular cleanliness, punctuality and value for money. Take a look at our latest customer reviews and see the evidence for yourself. Latest customers have praised us for our fast and friendly service, as well as describing our work as “making light work of a heavy move”. Bourkes Removals regularly go above and beyond for our valuable customers, and often take on new customers recommended by friends who have used our removals services in the past. Take a look at our latest testimonials at www.trustatrader.com or www.reviews.co.uk, and then call us today for a quote.